Companies interested in bidding for bankrupt Swedish carmaker Saab have been given until April 10 to register their final bids, according to media reports. Chinese carmaker Youngman is currently the only company to publicly register its interest in buying the automaker's estate. Youngman, along with Chinese car distributor Pang Da, had planned to buy Saab from its owner Swedish Automobile before the bankruptcy, but the deal was thwarted by former owner General Motors Co., which still controls key Saab technology. Media reports have suggested that a number of other companies could be interested in taking over Saab, including an unnamed Japanese and Chinese consortium that intends to produce electric vehicles using the Swedish brand. Reports in the Swedish press said the group may already have met with Saab's receivers to discuss a deal. Other potential bidders named in the media include the Indian automaker Mahindra & Mahindra. According to reports, attorneys Hans Bergqvist and Anne-Marie Pouteaux, the receivers handling the carmaker's estate, said on Tuesday that it was unlikely assets raised from any sale would cover debts of about 12-13 billion kronor (1.8-1.97 billion dollars) that Saab currently owes creditors. 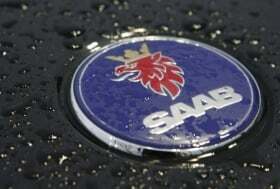 The sale of Saab's estate - the carmaker Saab and subsidiaries Saab Automobile Powertrain and Saab Automobile Tools - was unlikely to cover more than "a portion" of the debt, Bergqvist told reporters.